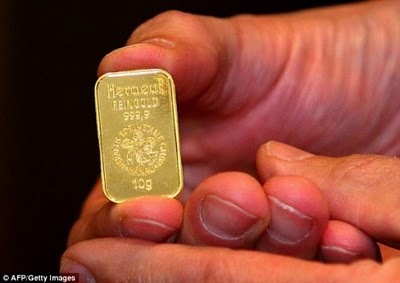 Gold is poised to hit the highest ever according to some analysts and it is expected to climb to new heights before the northern hemisphere summer begins. Helping it along are a number of factors. world wide gold demand rose in 2011 to a massive 4,067.1 tonnes, worth an estimated US$205.5 billion The highest tonnage level since 1997, according to the World Gold Council's Gold Demand Trends. Of that, 1,703 tonnes (41.8%) came from China and India. A record breaking year for gold demand. As the financial turmoil continues this is set to increase yet again this year. The continual monetary stimulus will not stop with Japan and the UK now going ahead with their ‘quantative easing’ plans and the Eurozone will continue to inject wet off the presses paper money into Italy, Greece, Portugal and Spain. Public interest and perception has changed markedly and gold bullion, coins and jewelry are undergoing surge of interest and gold buying as never before seen. And whereas ten years ago less than five percent of money managers would even entertain gold as an investment being a "non-productive asset class," we have now fourteen US states legalizing gold, and silver, as currency in commercial transactions. Some US Politicians, seeing the writing on the wall with the massive and totally unsustainable debt, are now looking at a gold standard and asking themselves, "should we return to a gold standard." Gold has often been held up as a non investment due to the fact one does not earn interest on gold. This argument pales into insignificance when you consider that interest rates globally have fallen to a 20 year low and earning a fixed rate of interest of less than 2 percent while the CPI is around 3 percent means one is loosing money! U.S. Federal Reserve has virtually guaranteed that interest rates will remain low for the next two years plus there is even federal talk of having reverse or negative gain on treasury bonds. 2. Gold buys more currency each year. 3. Ones assets are retained. Now is probably the best time to buy gold before the next surge upward and onward. After all you want to retain the value of your assets don’t you?